that is super cute i wonder what tiny toddler crocs would hold? Love love love..it...making a pair as soon as I get home....my mom and mom in law will love them....and what a cute way to keep a piece of Chloe(the croc wearer) around. VERY SWEET !!! I have a pair of Crocs flip-flops, and they are wonderfully comfortable. I KNEW there was a reason I'd been saving that stray Croc! Can't wait to try this, this afternoon! 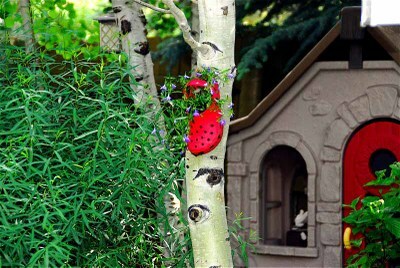 I have so many too small crocs lying around..this is genius! brilliant! it is so cute and you're right very lively indeed. That is the cutest planter I've ever seen! 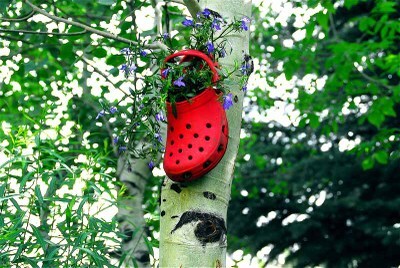 What a fantastic way to repurpose the croc! 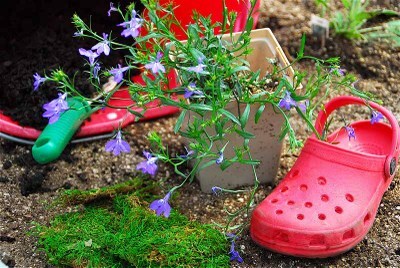 Someone I know just made this type of garden in a shoe but with old leather shoes. I think the Croc idea is much better (and it's got drainage holes to boot). Neat. I love it! And especially cute that they happen to be RED. What a GREAT idea!!! I have to go retrieve my daughter's too small crocs from the Salvation Army bag!!! Thanks so much! What a cool addition to our greenhouse this will be ! And "special", too! What a funny, and very cute idea! 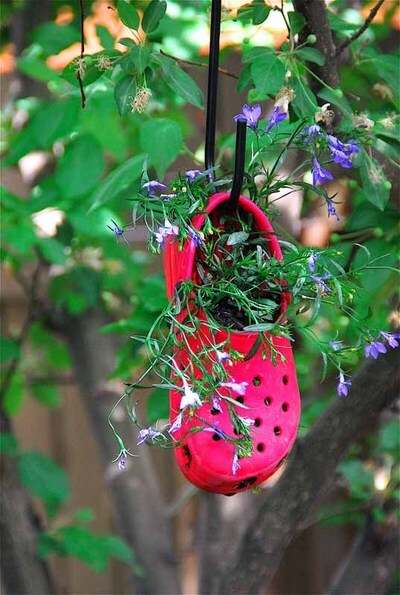 I definitely have some poor crocs around who have lost their mates and I will definitely try this!